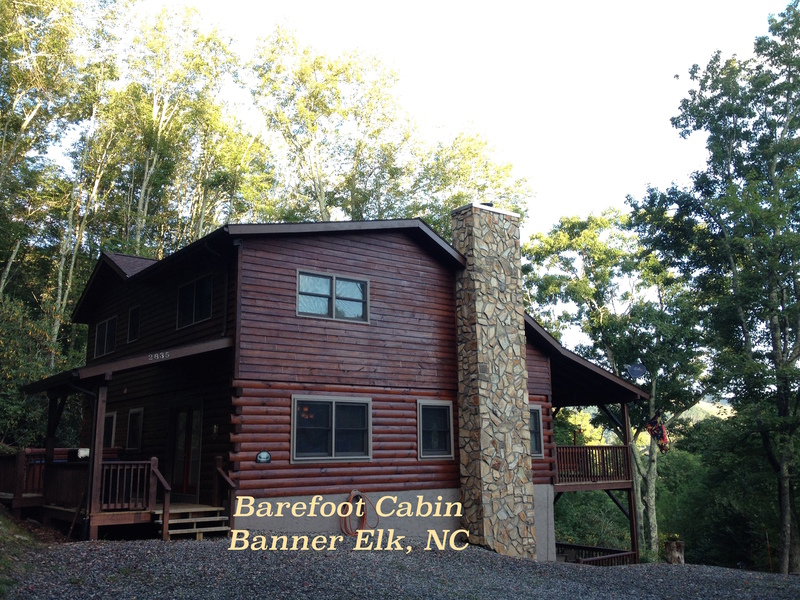 Barefoot Cabin is set on one acre of easily accessible land at an elevation of 4200′. We are located conveniently between Sugar Mountain Ski Resort and Beech Mountain Ski Resort. Offering 5 bedrooms and 3.5 baths, it’s perfect for family reunions, retreats, romantic getaways, or family fun. Amenities include a pool table, hot tub and fire pit for roasting marshmallows on our cool summer nights. Nearby is Banner Elk Vineyard and Grandfather Vineyard. We are also within 30 minutes of Grandfather Mountain. We hope you’ll consider reserving some time to see it for yourself. For rental information visit our rental agent: High Mountain Cabin Rentals. This entry was posted in Barefoot Cabin, Christian Marriage, Growing Strong Marriages, Travel, Vacations and tagged Banner Elk Cabin Rental, Banner Elk NC, Barefoot, Barefoot Cabin, High Mountain Cabin Rentals, The Rentals, travel, Travel and Tourism, Walter Cabin. Bookmark the permalink. Congratulations! This just looks lovely. Thank you, J. We are so excited to see what God has planned for Barefoot Cabin. Lots of retreats, both marriage and ladies I hope.